My, oh my, spring has become a busy event season! From weddings to blogging events to family shindigs, I sometimes feel like the woman version of Clark Kent transforming into Superman in a phone booth as I go from mommy to event-ready mode! I have had to build quite the arsenal of products to have me looking and feeling my best while on-the-go and thankfully BabbleBoxx had me covered on some great products that are now in my glam room rotation! Sunglasses are a must during daytime events and what I like about these premium sunglasses from the Zenni Spring 2018 collection are the great quality, the stylish mirrored lenses and the sparkle detail on the sides that make them so unique all at a great price point. These in particular have become my go-tos! For meeting-type of events, I am also able to look profesh with these Zenni clear glasses! Although they are clear, they block HEV blue light and provide maximum UV protection with minimal color distortion. If you’re like me and need glasses to see, Zenni also has stylish eyeglasses and frames for your prescription, they even have a “Zenni Frame Fit” where you can upload your picture and get an idea of how the frames look on! You can see their selection here. As a nursing mommy, when I switch out of my nursing bra to attend an event, I am so appreciative of Bali’s One Smooth U® strapless Multiway Underwire Bra because it is versatile and most importantly, comfortable. Their Bali One Smooth U® strapless Multiway Underwire Bra can be worn 8 different ways, yes you read that right, 8 WAYS! Just to give you an idea, this past Saturday I went from a blogging-related event where I wore a button up and I wore the Bali One smooth bra in the “classic” form, then came home, took off the straps and wore it strapless to get into a spaghetti strapped dress for a wedding. Pick yours up here! I have a special connection with Badgley Mischka because they were the brand of my wedding shoes *tear* so when it came time to choosing a pair, I went with a sparky elegant pair in this lovely shade of blue as an ode to this new chapter in my life as a mom to a boy! When they arrived, they took my breath away and when I wore them out for the first time everyone was giving me compliments. I wore them for one of my photoshoots paired with jeans and a white blazer so I could just let them be the star. They make an outfit so glamorous in an effortless way! Check out their gorgeous selection of shoes here! 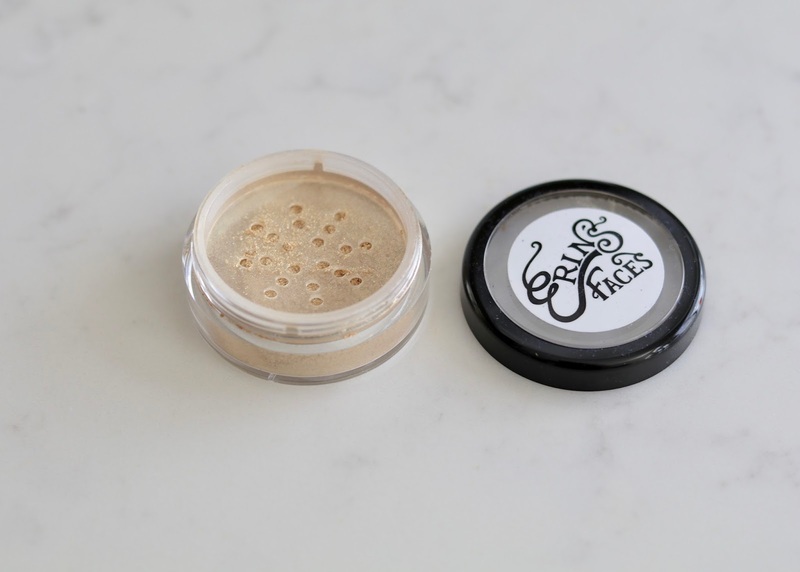 In between work, mommyhood and events, I feel like I need to revive my face with a touch of Erin’s Face Magic Dust, a gold shimmer vegan mineral powder. It’s so easy to just pop it on the cheekbones, tip of my nose and a little bit under my brow to give my face some good highlight dimension. It can also be used as a gold sparkly eyeshadow for those days that I’m going to an event right after work. I love little products like this that I can throw into my purse! And for this I have a discount code! Use the code MAGICDUST for 10% off at www.erinsfaces.com (known for their green beauty) though the end of April! Then at the end of the day when it’s time to take of the day’s make up (and sometimes layers of it), Rothschild Beauty: Radiant Cleansing Balm is essential as it helps clears up congested pores. There is also their Retinol Supreme Night Oil that allows me to give my poor (sometimes tired) skin some much needed TLC with its regenerative and moisturizing benefits. 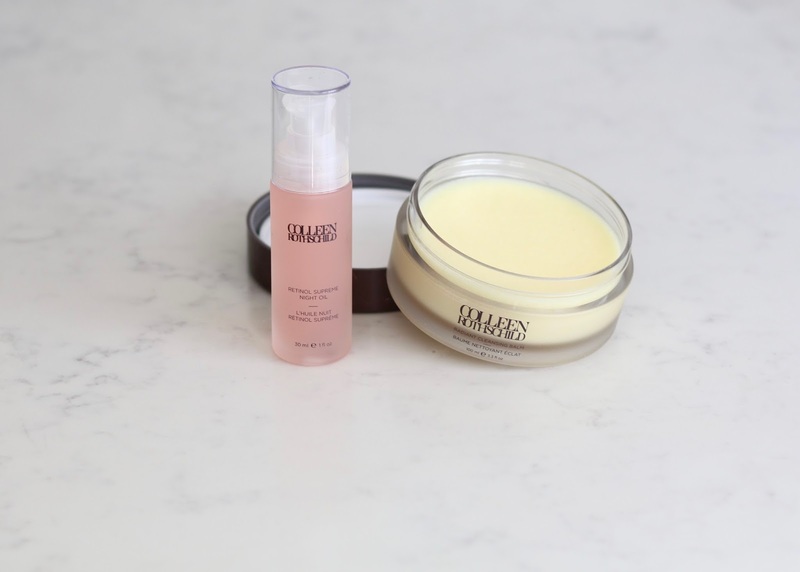 It is important to note that all of the Rothschild Beauty products are formulated withouth Parabens, SLS/SLES Sulfates, among other chemicals. All of these products help me feel and look glam during this busy event season! Keep up with me and where I'm off to next on Instagram under @lilbitsofpau! Let me know, have you tried any of these products? Or what are your event-ready secret weapons?